YP was looking to raise overall awareness for their brand, as well as increase usage of YP.com and the YP mobile app, in eight markets (New York, Los Angeles, Chicago, Philadelphia, Dallas, Boston, Atlanta, San Francisco). With this in mind, KMS worked with YP, BSSP, MEC Global and more than 65 local radio stations to develop a fun and effective eight week campaign that leveraged two of radio’s greatest assets – personality endorsements and local concerts. Station Personalities lent local credibility to the power of the YP search by highlighting a specific feature on the YP.com site, or function of the YP app, which proved useful in their personal search of the local area. In addition, stations created a “Front Row” promotion. 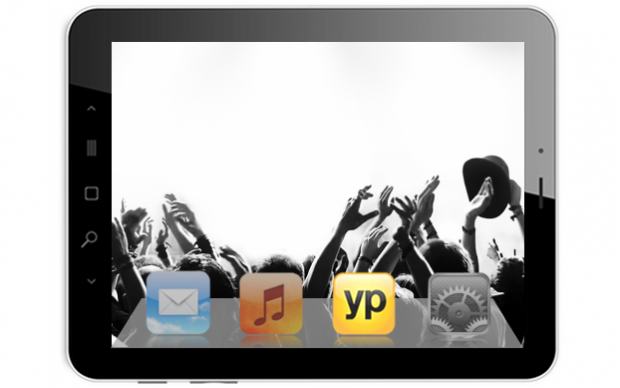 On air, promos encouraged listeners to download the YP mobile app, place it in their mobile devices’ “front row” for the chance to win “front row” seats (or a VIP experience) at an exciting local concert or sporting event. Nearly 7,000 listeners entered the “Front Row” promotion and YP saw a significant bump in YP app downloads and YP.com searches across the eight targeted markets.